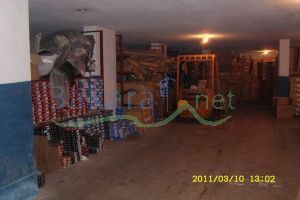 Basement level 1 , 530m2 with 4.45 meter height and includes: - Elevator to the Warehouse and Marble stairway - 58m2 private ramp that accomodates a 20ft container truck to the warehouse door. Pickup can enter the depot. It has a bathroom and kitchen area.